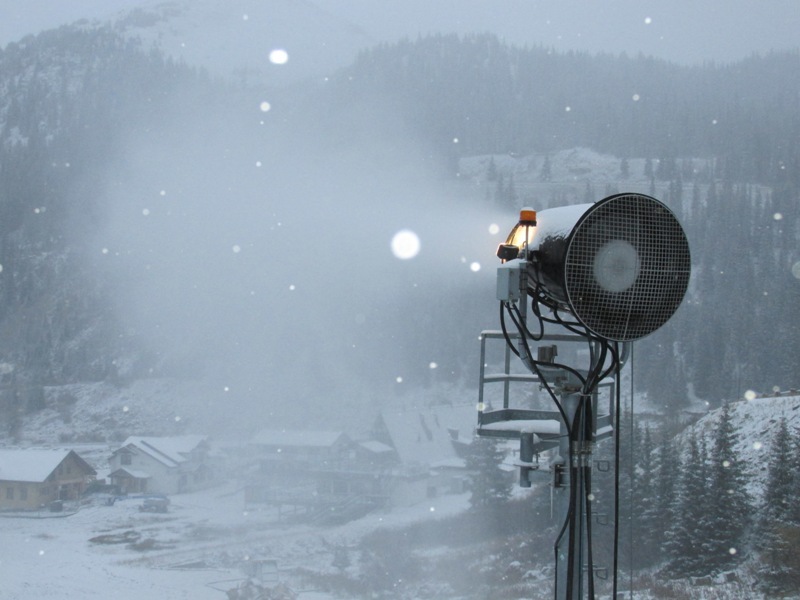 Snowmaking is under way at several Colorado ski areas, and Arapahoe Basin has already hinted at a mid-October opening. A-Basin spokesperson Adrienne Saia Isaac said it takes about two weeks from the start of snowmaking to create the 18” of base start skiing. After covering the first few trails from midway to the base, the ski area will start coating trails higher in the mountain, she said. A-Basin has often been the first Colorado ski area to open, so mid-October is not out of the question as long as the nights stay cool enough to keep the snowguns running. You can read a little more about the winter weather outlook here. Loveland Ski Area, just on the other side of Loveland Pass, usually duels A-Basin for the honors, and several other resorts are on track to open Oct. 31. Copper Mounain has also started snowmaking on the upper part of the mountain where soon racers from around the world will gather for early season training. The first World Cup ski races of the season, traditionally held on a high glacier ski field in Austria, are coming up, rewarding skiers in early season form with precious points toward the overall title. But for much of November, Copper will be the hub of the World Cup world as racers prep for events in Beaver Creek and Lake Lousise, Canada. Both Copper Mountain and Keystone are scheduled to open Oct. 31 with Halloween festivities on tap at both areas, and from there, it just a few weeks to Thanksgiving, when the Colorado ski season starts for real. 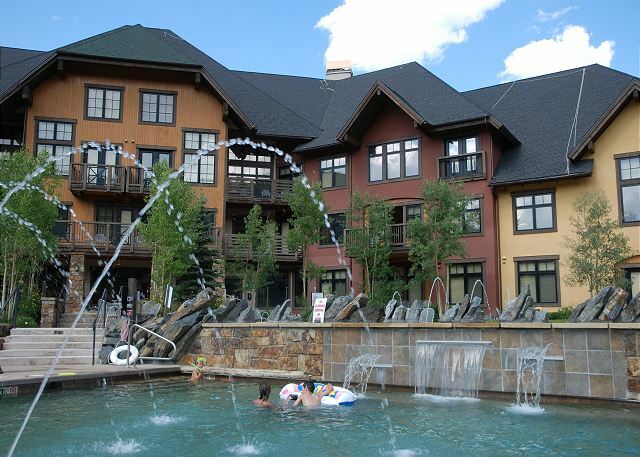 To find some great early season deals on Copper Mountain vacation rentals, please visit our listing page.